Eli Beer grew up in a suburb of Detroit. In a quest to find his voice, Eli moved to Jerusalem where he lived for almost a decade. The air and the streets of the holy city profoundly shaped who he is today, both as a person and as a musical artist. As he traveled throughout Israel, Eli absorbed the full spectrum of what his ancestral homeland had to offer, and everywhere he went his guitar traveled with him. Touched by the simplicity and spirituality of the land and people, Eli began his journey which ultimately helped sculpt his own musical style. He immersed himself in the lessons and niggunim of the grand Hassidic masters of yesteryear, while also exploring contemporary Israeli artists, whose origins reflect natural, and soulful melodic music. Quickly soon after, Eli started his journey of writing dozens of his own songs, and developing small crowds of loyal followers touched by the “magic” and authenticity in his tunes. His personal sound is broad, yet steeped in the nostalgic vibes of his heritage fused together with the visceral immediacy of modern guitar music. Eli’s diverse influences shine through on his songs, but his presentation is far from derivative. He developed his unique energy and sonic pallet through over a decade of live musical performances and intimate acoustic gatherings. Eli’s self-titled debut album showcases his innate ability to craft songs and melodies. A more nuanced listen will reveal that his true skill is in his ability to draw out authentic human emotion through his distinctive voice. On some tunes he employs playful twangs that inspire urges to dance joyfully. Other songs display haunting beauty that connects listeners to feelings of spiritual longing. Audiences will find themselves personally touched by his emotive voice and his ability to act as a channel for higher levels of spirituality. The vibrant and versatile Freilach Band perform the music behind Eli on all ten studio-recorded tracks for his new album. 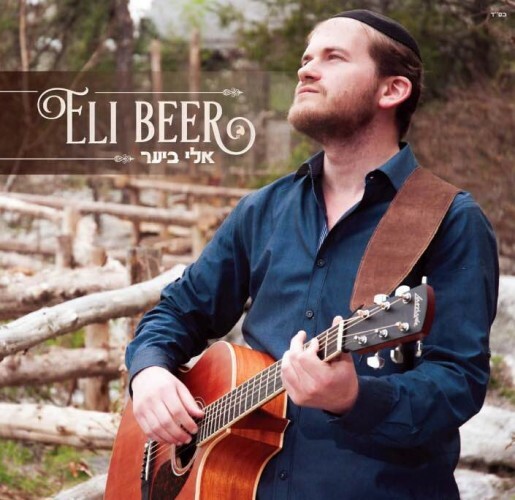 The compositions, which feature superb musical arrangement by Mendy Hershkowitz, harness the essence of Eli’s genuine warmth into an accessible offering that is sure to be a real crowd pleaser to the listening public at large. The CD will be available May 21 and distributed by Nigun Music and available at all places Jewish music is sold!